GDPR walloped the domain industry in 2018. The top story of the year in the domain name business was GDPR. That’s short for General Data Protection Regulation, a new European Union law that took effect in May. GDPR deals with privacy and data handling. Its most visible impact on the domain name industry is Whois. The law doesn’t directly address Whois information but many parties have interpreted it to mean that registrars and registries should not display personal information about domain name owners such as their name, address and phone number. ICANN passed a temporary specification that allowed registrars to mask Whois information. Many registrars have taken this to the extreme, blocking all information from Whois other than dates and nameservers. No name. No email. No location. Most registrars are still collecting this data. EPAG, a Tucows registrar, informed ICANN that it planned to stop collecting some information such as the non-registrant contacts (e.g. technical contacts). ICANN sued in German court to get an injunction but the courts denied its claims. The lawsuit wan’t particularly adversarial; while both parties think they’re right, what they really want is clarity on how GDPR will be interpreted. GDPR applies to companies outside the EU but not to the personal information of non-EU citizens and residents, nor to businesses. Even though it doesn’t protect an American citizen in Texas, many registrars have treated all Whois records the same. That’s not the case with the biggest registrar, however. GoDaddy (NYSE: GDDY) still displays information for non-EU customers. It only displays it on web-based Whois and not Port 43, which is a method of bulk and automated Whois lookups. There are many practical implications of Whois going dark for many domains. For example, the old method of transferring a domain required the winning registrar to send an email to the domain registrant listed in Whois. That’s impossible when that information is obscured so a workaround was created. There’s a big battle going on now to determine the future of Whois. Will Whois data slim down? Can certain parties get access to non-public data? Stay tuned. It’s been tough adjusting to less Whois data. 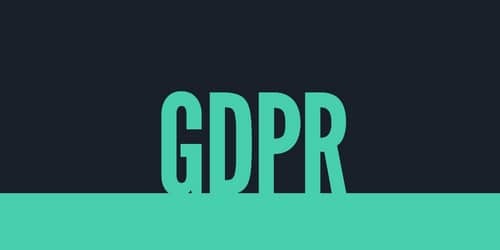 It’s been about 6 months since the European Unions General Data Protection Regulation (GDPR) went into effect and many registrars obscured Whois records as a result. Here are some of the practical implications this has had for me personally as someone covering the domain business for DNW and as a domain investor. I’ve had several instances this year when I needed to verify who owned a domain name for a transaction and had difficulty doing so. In one case, a friend was buying a domain and wanted to verify that the person who previously owned it still did before doing the transaction. The registrar had masked Whois. I was able to find a recent public record showing the owner. In another case, someone wanted to buy a domain and was at an impasse because the Whois record was masked and the domain didn’t resolve. There were no public Whois records so the potential transaction died. Finally, I helped a friend who was trying to track down a domain owner. There was an active site but the owner didn’t identify himself on the site. There were some old Whois records but the most recent ones had info for a disconnected phone number and an email that bounced. Finally, by going further back in historical Whois records I was able to find a name and track the person down using other databases. While historical Whois records from services like DomainTools help in some cases, the value of these records is degrading every day as new masked records are added. There are good reasons people reach out to me using Whois (want to buy a domain) and bad reasons (spam). Fortunately, GoDaddy still displays contact info via web-based Whois. This has helped facilitate transactions this year. Most of my domains are at GoDaddy but it’s possible I’ve missed inquiries on domains at other registrars. It’s a lot harder to find end user sales to report in my weekly end user reports. I can only find a handful each week based on Whois records so I have to dig deeper and hope that sites are already being developed. This means fewer names on the list. Brand protection company claims registrars aren’t cooperating, but there are two sides to the story. 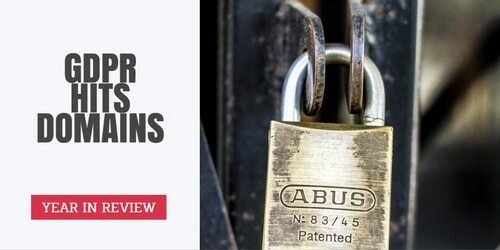 Tucows CEO Elliot Noss has responded to claims made by brand protection company AppDetex over access to Whois data. AppDetex has raised concerns that domain name registrars are not responding to or are denying requests for Whois data when it has a legitimate interest. It made its first claims just before the ICANN conference in Panama this summer and timed its second complaint for just prior to ICANN 63 in Barcelona this week. In its most recent complaint to ICANN (pdf), AppDetex said that registrars were only “fully complaint” to 2.5% of its requests. In response (pdf), Noss called AppDetex out for its own non-compliance. AppDetex has submitted (as of this letter) 1273 requests for Registrant data to Tucows-family registrars. Up until October 9th, 2018, we responded with our requirements template to all of them and had not received a single reply. The claim in their letter of contracted party failures to respond in a reasonable time frame is outrageous as they have failed to further their own requests for months. Additionally, it seems that Facebook and AppDetex have been submitting automated queries without sufficient human review. Noss points to requests for data on “lincolnstainedglass.com” and “grifflnstafford.com” as examples. These were likely included because they include something visually similar to “insta” in them. Facebook has trademarks for Instagram. We are also concerned that, given the clear lack of human-review and due care presented by the requests we have received from AppDetex, they are simply creating algorithms to identify potential infringements and demanding personal Registrant data for these potentialities wholesale. The examples we have noted above—and many others—could have been easily identified by AppDetex prior to submitting to Tucows if they had included the reason that the domain was suspected to be infringing, rather than the mere assertion that it “misuses one or more of the following trademarks” and then listing seven trademarks. We require that requests for personal data include the reason for the valid request. Tucows, the second largest domain name registrar, has been one of the registrars leading the discussion on the EU’s GDPR. Earlier this year it launched a site for parties to request access to masked Whois information. Report explains what NTIA is doing about GDPR/Whois. The National Telecommunications and Information Administration (NTIA) has submitted its first report (pdf) to Congress about adopted ICANN policies. Congress required NTIA to start providing a semiannual report as part of Senate Report 115-139, which accompanied the Consolidated Appropriations Act 2018. In its first report, NTIA discusses the impact of GDPR on Whois and explains that it is continuing to work to ensure that the final Whois specification “balances data protection with the needs to access WHOIS information for legitimate and lawful purposes”. NTIA also stated that it is pushing back against ICANN’s proposal to delay the third Accountability and Transparency Review. Finally, NTIA confirmed that no ICANN Board Resolutions or policy changes have affected the .gov, .mil, .edu, or .us domains.